Come out of the cold and into the warmth of Tain Parish Church Hall on Saturday 10th December. From 12.00 to 4.00pm Hidden Tain will be revealed to all comers. You’ll be able to see previously un-exhibited photographs, view historic maps and learn about people’s remarkable recollections of the burgh beneath their feet. Over the last few weeks the people of the burgh have been gathering to as part of the Tain and East Ross Civic Trust’s project to explore secret streets, beautiful bee boles,tantalising tunnels, captivating culverts, wiggly walls and buried bridges of hidden Tain. 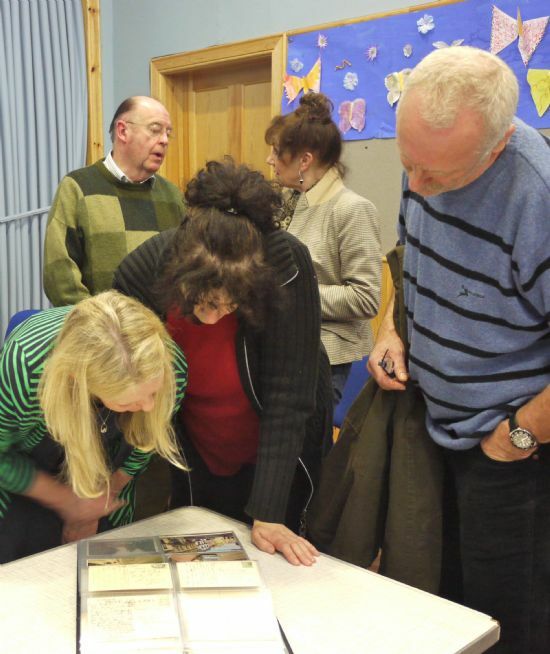 The project has been funded by the European Community Highland LEADER 2007-2013 Programme, the Tain Common Good Fund and the Highland Council and has already produced lots of new information and many ideas for developing a larger project exploring Tain’s past. “We’re keen to keep on gathering local knowledge and so on the 10th we’ll also be writing down peoples memories and knowledge of Tain's hidden past. We like to think of our sessions as a ‘Map Ceilidh’ - everyone can join in, whether it be contributing a memory or asking a question, however daft it might seem. And they don’t have to be big contributions, even little snippets of information can soon add up to a significant part of the picture.